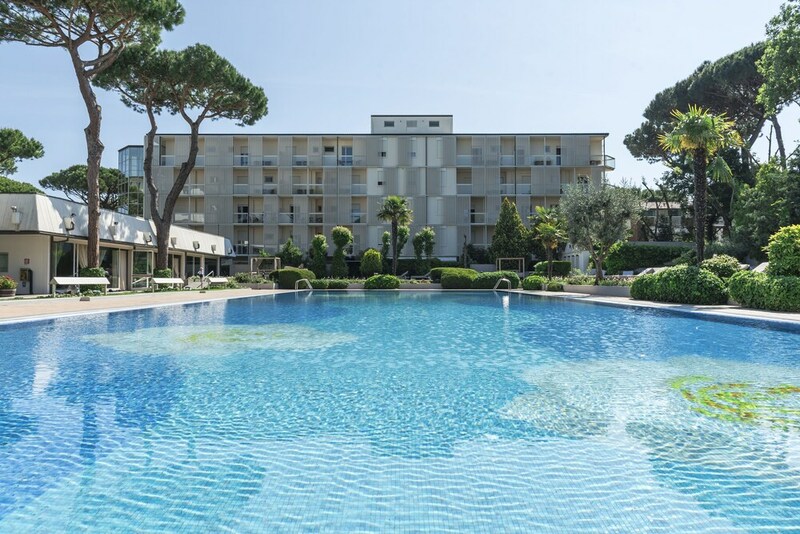 A stay at MarePineta Resort places you in the heart of Cervia, within a 15-minute walk of Pineta di Cervia - Milano Marittima and Minigolf Centrale. This 5-star hotel is 8 mi (12.8 km) from Mirabilandia and 1 mi (1.6 km) from Museum of Salt. Make yourself at home in one of the 165 air-conditioned rooms featuring minibars and flat-screen televisions. Complimentary wireless Internet access keeps you connected, and digital programming is available for your entertainment. Private bathrooms with bathtubs or showers feature complimentary toiletries and bidets. Conveniences include phones, as well as safes and desks. Head down to the water and enjoy a day at the private beach, or take advantage of other recreational amenities including outdoor tennis courts and an outdoor pool. This hotel also features complimentary wireless Internet access, concierge services, and babysitting/childcare (surcharge). Grab a bite at one of the hotel's 2 restaurants, or stay in and take advantage of the room service (during limited hours). Meet other guests and eat at the complimentary reception. Relax with your favorite drink at the bar/lounge or the beach bar. A complimentary buffet breakfast is included. Featured amenities include a business center, complimentary newspapers in the lobby, and dry cleaning/laundry services. Planning an event in Cervia? This hotel has facilities measuring 6265 square feet (582 square meters), including conference space. Self parking (subject to charges) is available onsite.